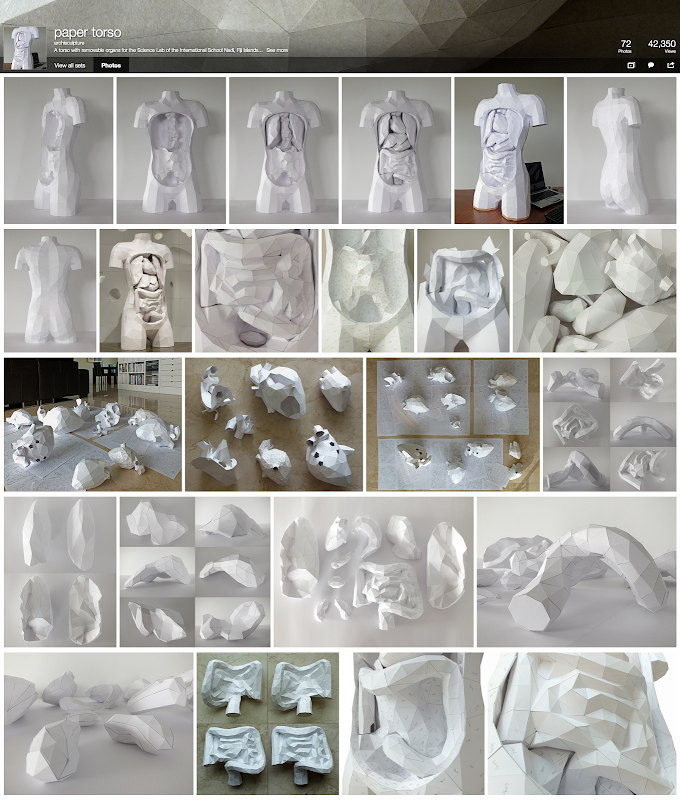 Horst Kiechle has created an entire torso made entirely out of white card, complete with removable organs! 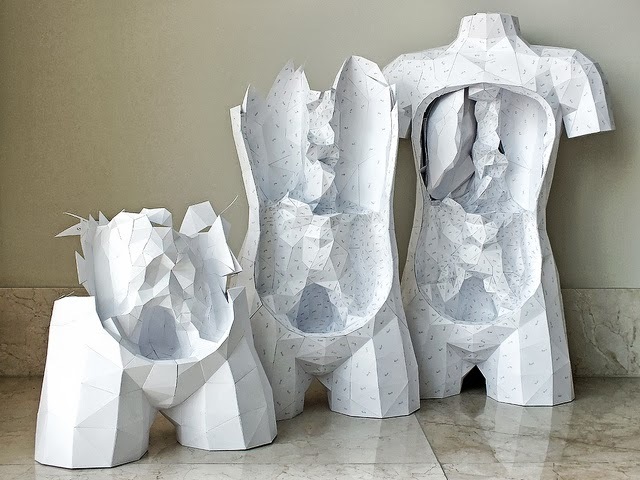 "The paper torso project began in 2011 when I took up a suggestion by Ms. Joanne Nakora from the International School Nadi in the Fiji Islands to design and build a torso with removable organs. 3 months later I had completed a first version and uploaded some images to my Flickr account. In January 2012 My Modern Met blogged about it which led to many requests to make the templates available. Improving certain parts of the design, fitting the patterns to A4 paper and working out how to best write the instructions took about 4 times as long as building the first version. The templates and instructions are available on [this site]. In the spirit in which this project was started they are available for free. If you manage to complete some of the organs and/or the torso I would appreciate it if you could send me an email or some images of it."